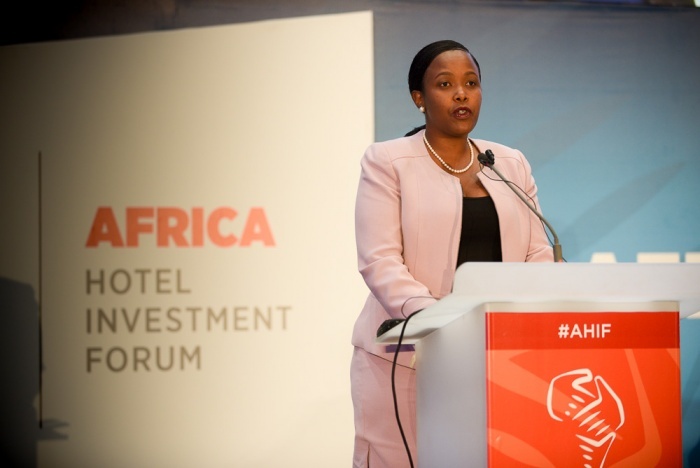 The forum is the ninth edition of Africa’s leading hospitality investment conference, AHIF, and the just-released agenda lives up to its reputation. The FIHA business event, organised by Bench Events, will unite North and West African countries to develop their economies and support hospitality investment, including tourism projects, infrastructure, entertainment and hotel expansion across the region. In French and English with simultaneous translation, the forum’s agenda offers unrivalled networking opportunities across two days, February 7th-8th. Business leaders will mingle with government ministers and officials. The headline finance forum on day-two will reveal the real demands of financiers: what are they looking for, what are their lending terms and what does it take for them to back a project? Serge Yanic Nana, president, Financia Capital, Leila Mokaddem, country manager, Morocco, the African Development Bank and Jonathan Kouassi, relationship manager, Societe Generale, Cote d’Ivoire, will be among the speakers taking part in a panel discussion moderated by Nawfal Bendefa, managing partner, REIM Partners. An interview with the leading entrepreneur and visionary, Samih Sawiris, chairman, Orascom Development Holding, will bring the event to a close. Sawiris is a developer of integrated destinations that include hotels, villas, golf courses and marinas. The Orascom group currently owns 35 hotels, with 8,135 guestrooms and over 1,000 rooms in development in various countries. He is also a major shareholder in Lafarge and in Orascom Construction Industries which has projects and investments around the world. Day-one boasts a stellar line-up too. Not least, Mossadeck Bally, founder, Azalai Hotels Group, who will reveal how he pioneered the independent African hotel brand and created a flagship chain in West Africa, providing employment to over 900 people with a major impact on local economies. Starting with one hotel in Bamako, he grew his portfolio of hotels across the region, competing with big international companies and striving to give a conquering vision of African business. More insiders’ views on development opportunities and challenges will come from leading operators, discussing their experiences of expanding their hospitality portfolios in the region. FIHA will range from plenary overviews of the region’s macro-economic state of play, to intimate round table sessions, interactive discussion-based sessions that allow for plenty of frank discussion and networking. These will bring delegates up close to the key players specialising in business and leisure tourism segments. Matthew Weihs, managing director, Bench Events, said: “There’s increasing investor appetite for these markets and FIHA will lead the debate, help bring projects to the market and aid local owners and investors to decide on new partnerships, joint ventures and deals.